I took my nifty fifty off of camera and reversed it (so I was holding it, backwards, in front of my body). 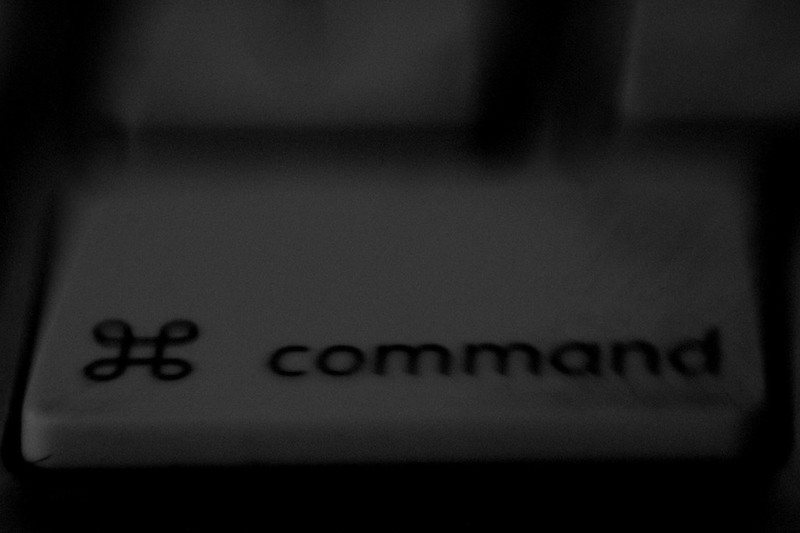 Since I’m still a lazy bugger, I then took photos of my keyboard. A little post-processing (the black-and-white filter) later, and tada. This is not a technique I want to try with longer/heavier lenses. It also changes the fifty to a macro, which is kinda cool. Something I forgot to mention yesterday. I’m also looking for ``photo buddies’‘. Basically, some other people with cameras (I’d even be happy if it was only a phone, but Canon DSLR is best) that want to go out and about with me, taking pictures. Locations and everything like that is completely open. Contact me if you’re interested. Well, I have to be able to get there. So England is a little far away. New Jersey in July is a possibility.